Reliable, fuel-efficient, and winter-ready vehicle: CR-V or Forester? My current Chevy Prizm is almost at 200,000 miles and will need to be replaced soon. I love its fuel economy and reliability (no major repairs up until this point), but its winter performance leaves a lot to be desired. I live in a snowy area and have a long commute on poorly maintained roads, so a vehicle that is able to 1) make it out of our sometimes unplowed apartment complex and 2) do well on icy roads while still getting decent gas milage would be ideal. In addition to this, reliability is a huge factor. At this point I'm looking mostly at the Honda CR-V and Subaru Forester. For anyone who's considered both these cars, which did you pick? Why? Are there other vehicles that would be a better fit for my needs? I personally like the Forester much more than the CR-V, as it both handles and rides better. 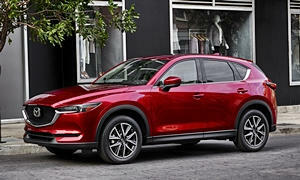 You should also take a look at the Mazda CX-5. 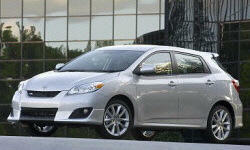 It and the Subaru are the most fuel efficient compact crossovers. The Mazda drives a little sportier. You may also want to consider smaller cars, since what is really going to help you on icy roads in the snow is going to be weight, snow tires and electronic stability control. Your Prism is about 2300 lbs with no electronic stability control. 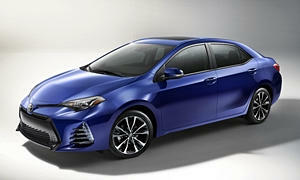 Just going to the new equivalent of your current car, the Toyota Corolla, gets you a 2800 lb car with ESC and it will handle significantly better than your current car. Look for youtube videos on ESC to see what it does for you in terms of accident avoidance on snow/ice if you're unfamilair with its effects. Couple that with a set of snow tires on winter wheels, and that might be enough for your needs. I mention this since a CRV or Forester or the Mazda CX-5, while good vehicles for what they are, are more expensive and will probably cost you another $1.5-2.5k a year in increased gas, depreciation/payments, repairs etc over a Corolla. You might be better off shoveling yourself out a couple days a year and keeping your money. I personally drive small cars in snowy upstate NY and have a sense of pride in getting my cars into/out of places where other drivers get veclempt about going. I would go with the Forester over the CR-V since the Subaru actually has full-time all-wheel drive and the system has excellent road handling. The CR-V only activates the rear wheels "as needed", as in when slippage occurs. I was very happy with my Subaru and intend to buy a Forester as my next car to replace a Honda Civic for exactly the reasons you list. The Civic is very reliable and excellent on gas but is not a treat to drive in any snow, even with good winter tires. Thanks everyone! 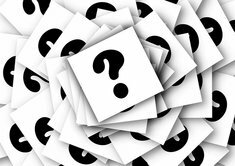 I really appreciate the responses and have found your advice helpful as I've been deciding. 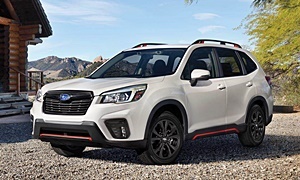 It looks like my new car will be a 2015 Subaru Forester 2.5i, mainly due to the better AWD and my preference for its interior and handling after test driving both the CR-V and Forester. I think it will be a better fit with what I'm looking for, and visibility was also a lot better in the Forester. I did consider going with a better sedan than I have now (I looked mainly at the Civic), but I think for me the initial price difference and extra fuel costs will be worth it to have an SUV.